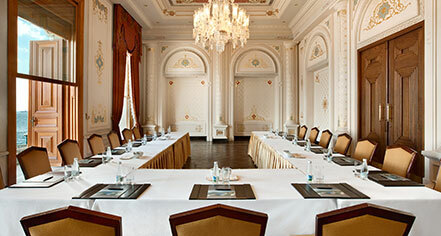 Located on the second floor of the Palace, the Cıragan Ballroom is the pinnacle for grandiose events. Reflecting Cıragan's tradition of grace and extravagance, magnificent high ceilings, elegant furnishings, crystal chandeliers, and high windows makes Ballroom the ideal venue to celebrate social or corporate event in an ambiance of pure luxury and classical elegance. 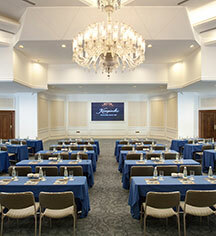 Interconnected, Cıragan Ballroom can hold up to 1100 guests. For more intimate functions the room can be divided into two sections. State-of-the-art audiovisual equipment, technology, Butler services by Cıragan Express, and wireless Internet connection are guests disposal. Enderun is located on the first floor of the Cıragan Palace and has a foyer area in front. This exquisite venus features soaring ceilings, crystal chandeliers, elegant furnishings, and views of the Bosphorus. This unique and sophisticated wedding and event space extends over 425 square meters and can accommodate up to 300 guests. Enjoy the natural daylight, state-of-the-art audiovisual equipment, technology, Butler services by Cıragan Express, and wireless Internet connection. Romantic and spacious, the Palace Terrace of the Cıragan Palace is a popular location for weddings and receptions.